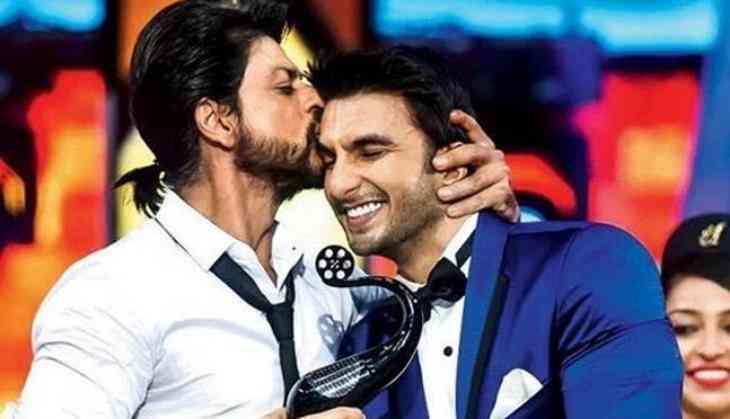 Home » Bollywood News » SRK didn't recognize Ranveer Singh on Twitter, when he asked Zero star did he watched Padmaavat yet? Bollywood actor Ranveer Singh's film Padmaavat has made a storm at the box office and continuously doing good at the box office. These days Ranveer Singh is getting wishes and appreciation for his performance in the film. Ranveer has played the important role of Alauddin Khilji in Sanjay Leela Bhansali's film and did a tremendous acting in this film. Whoever the celebrity watched this film yet everyone is appreciating Ranveer Singh. Recently Bollywood superstar Shah Rukh Khan came on Twitter to have an interaction with his fans through live chat. So, in this chat, Ranveer Singh tweeted for SRK and said "Hi Bhai ! anxious for you to see ‘Padmaavat’ ! #AskSRK"
Now the superstar King Khan also replied on this tweet like a king and tweeted, "So sorry didn’t realise it was u, cos now u r Khilji for me. Bahut acchhi picture hai bhai..I saw it and loved it." This is to notice that Ranveer Singh, Deepika Padukone, and Shahid Kapoor have played the leading roles in this magnum opus film. While Ranveer played the role of villain and on the other hand, Shahid Kapoor and Deepika Padukone played the role of Maharawal Ratan Singh and Queen Padmavati. Also Read - Have you seen Ranveer Singh's Gangnam style dance in Khilji avatar? Recently the Bollywood megastar Amitabh Bachchan also praised Ranveer Singh's performance in the film and also wrote an appreciation letter for him. However, the film is doing great at the box office as well. Jio MAMI 2016: Arvind Kejriwal documentary An Insignificant Man gets standing ovation!